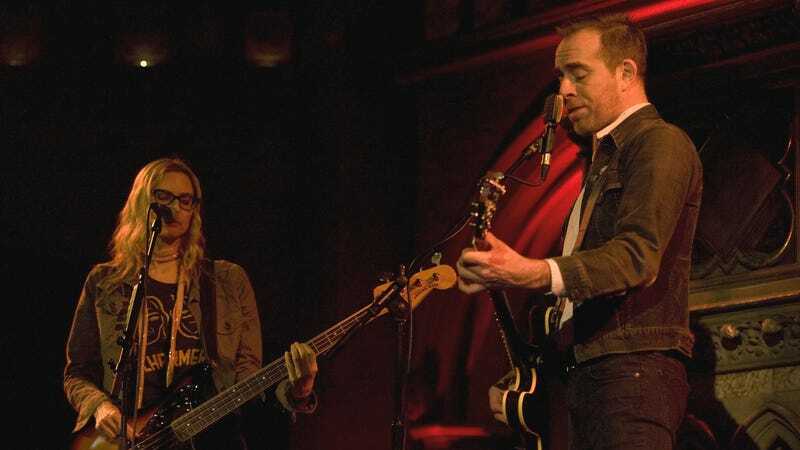 Joining the likes of David Tennant, Alfred Molina, and some people who have been doing this thing for longer than a month, Ted Leo and Aimee Mann now have a podcast of their own. It’s called The Art Of Process, and Mann explained in an Instagram post that she and Leo are “fascinated by the underlying structures of the creative process,” so they started a podcast where they could talk to “creative people” and ask them about how they do whatever they do. The show just launched its first two episodes today, and the creative people being questioned are Wyatt Cenac (comedian and former Daily Show correspondent) and Rebecca Sugar (the creator of Cartoon Network’s Steven Universe). That seems to suggest that they’ll be getting a wide array of creative people for the show, but we just hope somebody asks when the next Both record will come out. The Art Of Process is a biweekly podcast, so look for future episodes in a couple weeks.